Hospital Authority in Hong Kong has adopted and promoted the primary nursing as the care delivery model since 2003. It aims to facilitate a better organization of nursing care and enhance the autonomy in clinical nursing practice so as to enhance the quality of patient care and increase the professional accountability. 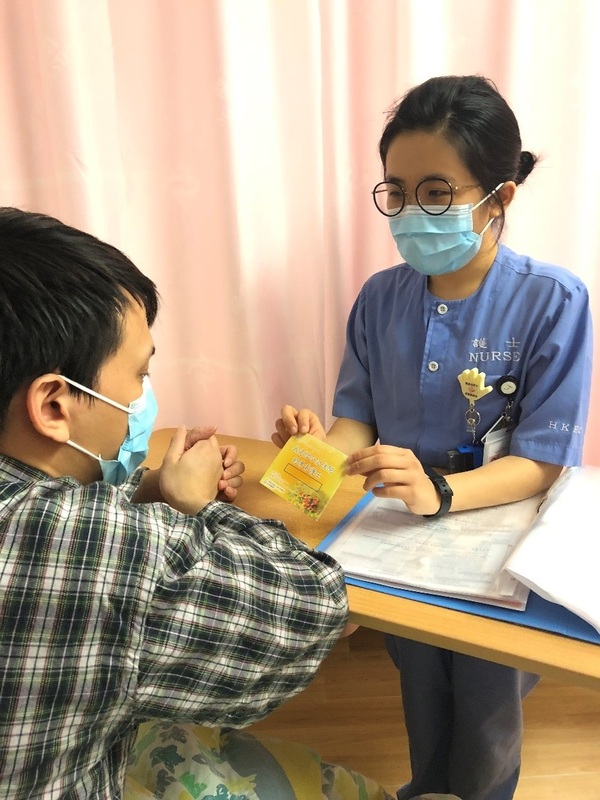 In the Department of Clinical Oncology of Pamela Youde Nethersole Eastern Hospital (PYNEH) of Hong Kong, we applied this nursing care model to two specific groups of cancer patient for the purpose of ensuring the patient safety, better adherence to the clinical management plan and the continuity of care. These two specific groups of patients were: (1) patients with head and neck cancer underdoing radical non-surgical oncology treatment; and (2) patients suffered from neutropenic sepsis. They were selected because severe toxicities were commonly reported during the late phase of treatment among the former, whereas the latter condition was an oncology emergency and potentially fatal. Both of them required intensive medical and nursing management and support. The primary nurse introduced herself to a cancer patient. A Primary Nursing Team was developed and 12 qualified oncology nurses were invited to join. The team was responsible for literature review, developed evidence-based nursing care protocol, related workflow and update of nursing care plan. Training to all ward nurses was provided by the team before implementation including care protocol, special assessment and care to enhance engagement and compliance. Electronic documentation was adopted to serve as a care planning template, facilitate better communication among nurses and easy access of patients’ progress by multidisciplinary team. It was also integrated with the weekly nursing grand round led by the nurse consultant and senior nurses to enhance the nursing standard and render support. Compliance audit and documentation review were performed before and 3 months after the start of the program. The overall staff compliance rate increased from 73% to 94% for the Neutropenic Sepsis Team; and from 63% to 87% for the Head and Neck Team. Moreover, documentation review showed that (i) more than 95% of primary nurses were able to assess and provided specific and effective nursing care to patients with head and neck cancer or neutropenic sepsis, (ii) communication among the ward nurses was enhanced, and (iii) documentation was clearer with more essential details. Furthermore, the value of this program was recognized by the Nursing Service Department (NSD) of our Hospital. We had shared the logistic, roll out plan and essence of the program with frontline nurses of other Departments in the Primary Nursing Workshop organized by NSD in 2016 and 2017 respectively. Nursing grand round with the primary nurse in an oncology ward to review the clinical care. Oncology nursing plays a critical role in ensuring patient safety and providing quality care. The implementation of primary nursing care model was challenging; however, it demonstrated the benefits of provision of personalized nursing care that tailor-made for individual patient’s needs, and increasing the satisfaction for both the patients and nurses. ©2015 International Society of Nurses in Cancer Care (ISNCC). All rights reserved.